@Joey, better than thinking you are a Roo! JH looks interested in this. No Joey, they did not have any chance at getting out of that theater and into a hospital for help....those bullets destroyed their bodies. Oooh-ooh, I want to call him!! Is there a clock visible in the courtroom, if so, where is it located? A very ugly, Gory day today. @NT8 the PT were on their game today! @Joey, They would have been stupid to argue today. @Joey, the DT had to know that this was gonna be a hammer day. I wouldn't be able to not talk about it! That would be hard for me. @Phil Please try to ask my question to the legal beagle this time. @NT8 touché . They weren't going to especially when she brought up Veronica. LOL I think the judge is totally following our chat!!!!! Poor Micayla! SOrry I am a little behind from everyone. Okay, I'm a little confused....he's not presumed innocent, he's presumed insane....right? @Rheba, What is your count now? Hey Samour, Tell them NT8 is keeping track! 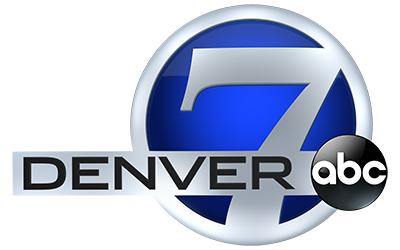 Give them the Denver7 channel!! Can I catch today's testimony on you tube? I missed from lunch on. Ok thank you... You guys do an awesome job!! @ Legal Beagle: How do you think the jury is affected if they see a member of the DT crying over some of the evidence? (i.e., woman next to JH crying during Veronica's autopsy report? Per AC 144 ttl witnesses presentnd so far. Does the court keep the notes that the jurors make in their notebooks after the trial is finished? interesting...a number of the witnesses that DT was going to call have already been called by PT.